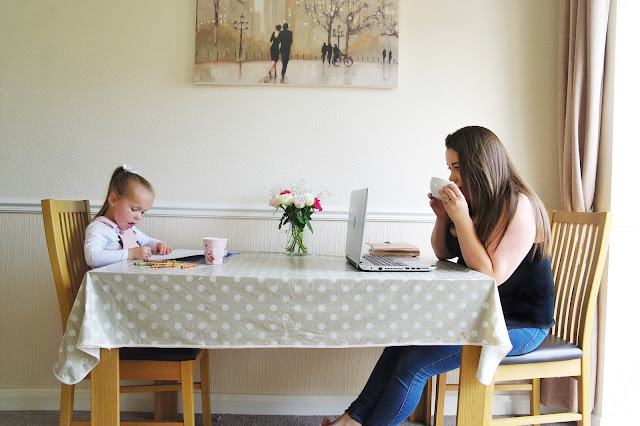 Home / Blogging / Life as a Working at Home Mum: Is It Really the Best of Both Worlds? Life as a Working at Home Mum: Is It Really the Best of Both Worlds? As most of you know this year marks a special milestone in my new venture becoming self employed and now I live the life of a working at home mum. Now I must admit it was a pretty scary thought at first, but now it feels like a second nature and I actually love being able to work from home. I enjoy the freedom of being my own boss, picking and choosing the brands and the campaigns I work with. I have flexibility that enables me spend time with my little lady, attend all the special dates at the school, enjoy lunch with friends and still get to work. With that being said, being a working from home mum isn’t always unicorns and rainbows. While the positives for me far outweigh the negatives, the truth is, working at home is a challenge. I wouldn’t trade my life for anything, but there are a few things that can turn working from home into a sometimes frustrating experience. So today I thought it would be a good idea to talk about the pros and cons of working at home and being self-employed! I guess this one goes without saying, but one of the best perks with being a working at home mum is undoubtedly getting to spend as much time as possible with my daughter. By working from home I'm able to be a part of my daughter's routine. Not just mornings, evenings or weekends. I'm able to have lunch breaks with her and take a coffee whenever the moments arises, but it has to be said I do have to drink that pretty quick with little miss sassy though. But for me, it was more important for me to show my daughter that anything is possible. My job is far from traditional. It takes a lot for someone to be able to succeed in this field, but I really want to show my daughter that is is possible to have it all. Just grab every opportunity you can and run with it. My blog has opened so many new doors that I never ever envisioned in my pathway to success. It really has. I am actually making myself a brand and by writing about my life as a mum I have realised my passion, writing. It means so much that people actually read my posts, it makes me appreciate myself so much more and to realise my worth. But it doesn't just stop there. Becoming a blogger can help with so many careers, not just writing your blog. If you wanted to get involved with social media marketing, become a freelancer or work in PR, writing a little blog can help steer you in the right direction. As a woman, I have seen myself grow. As a mother, I have seen myself achieve. Trust me, being a woman cannot be easy at times, but being a mother is the most magical thing that could happen to a woman. And I want to show my daughter that anything is possible. Yes I may not have a traditional job but nonetheless I get to earn whilst spending as much time with her. Can Mother's have it all? Sure as hell they can!!! I’m proud of the fact that I’m working from home and I’m living an ambitious life. I’m proud of the fact that after I became a mother, it gave me the strength to do something unimaginable so that it sets an example for my daughter. The hours in which I work are completely flexible and I am certain that I wouldn't be able to be as flexible in a traditional employment. It's strange to think since becoming self employed and a working from home mum I have become more organised and self-sufficient. I get more done in an hour that I did before. Better yet, I have developed a pretty unique quality of being able to shut out noises whilst working, whether it's the sound of my daughter watching Ben and Holly or her playing with Happy Land. It's become a kind of talent! Before becoming my own boss this was not something I would have been able to do. With such flexibility I can begin my work early, take a few hours off in the afternoon to pick my daughter up from Nursery and then continue in the evenings. I am able to set limits on both my work and family schedule so that both work out and are mutually beneficial to me. This includes being able to pick and choose brands that I work with, going for opportunities that appeal to my taste, my skills set and my passion. Most importantly, I can make decisions on whether a work project is worth my time and pays what I believe my work is worth. No one to have to answer to, well unless you include a little four year old of course. But I am able to work and earn my own income and build a brand. Writing is not something that I ever thought I would do, but people do actually sit and read my blog, typos included. I'm not the greatest with words but clearly people seem to like the unfinished style. My blog has quickly become a source of work in it's own right. And after a couple of blog posts I started to get emails from brands and companies interested with collaborating with us, which is amazing every single time an email pops into my inbox. When I first entered the blogging scene, companies were only just starting to invest in social media and advertising, and the budgets were nothing compared to what they are today. But I would spend my mornings on my blog and send pitches out to brands during nursery hours and in the evenings. Not just from a writing aspect, but I have taught myself how to use a camera, understand that basics of SEO and my days are consumed by social media, but who doesn't these days. Being my own boss lets me be the best that I can be, and it compels me to work harder and with more passion. The truth is, I'm always working. I often remember something late at night and rush to the computer to send that e-mail, or I'll have my phone on hand at all times and find myself replying while at the supermarket. It simply never ends. There are times that my husband and my daughter tell me that I am always on my phone, which normally cues some kind of guilt. But in reality they are right. There is always an email to reply to, a technical issue to deal with or social media posts to schedule. There’s no down time. Hours go by and I realise I haven’t moved up from my chair, or eaten or even used the bathroom. There are a LOT of misconceptions out there about being a self employed and working from home. Most people just see most are taking photos, writing about them and making a few quid here and there. But listen up folks there is an opportunity to actually a decent wage with blogging, even if many don't consider it as 'a real job', IT IS. Blogging and social media influencing is definitely a job. Now it's certainly not easy to make money from blogging. I would probably say that most of us who do have blogs don't make a huge amount of money, or even consistent money. But with a lot of hard work, a lot of time and dedication this has become my job. Blogger, writer, influencer, whatever you want to call it. It's a money maker for lots of people. I have to say that I don't have the biggest following in this bloggersphere, but there are lots of people who follow me, take the time read my posts, send me emails to talk about my content on my blog and there are brands that want to collaborate. So YES it is a real job. So when people try to call my job cute or the fact that they would love to stay in the pjs all day, I just grin and bare it because they have no idea, whatsoever! Whether it's the four year old telling at me that she needs to poop, the post man knocking on the door or a last minute dash to the supermarket, distractions are inevitable. Being a mum for the good part of four years I have sort of become a master of dealing with distractions, but the older she gets the more demanding she is becoming. I would be able to type away with work with a cup of coffee and she would be happy colouring in or playing with her toys. But as she develops she is becoming more insistent on other people playing with her, and when you have deadlines to meet or posts to write it can become a little overwhelming. I can't say it's all her. A catch up on netflix can sometimes be a good distraction, but eliminating these inside the working hours really helps keep the distractions to a minimum. Some days are better than others, that's a given in every walks of life. One of the biggest challenges for me is keeping motivated. Many individuals working from home are content with just earning enough money to get by and don't strive to take their blog, platform or small business to the next level. Sometimes you have to be tough on yourself and power through because the deeper you get into being unmotivated the more likely you'll be put off forever, sometimes all it takes is a little push into the right direction. Being a working from home mum has made me realise that I need to stop waiting for my blog to become successful. The only person that can make this happen is me, and it won't happen while I am sitting on the sofa feeling sorry for myself. It's going to take a lot of time, effort and a lot of patience. Some days are busier than others. Some days are far more productive than others. And some days are just better than others. It’s ok to want both, it’s all about finding the right balance between family life and work life. I know I find it hard to step away from my computer especially if it’s right there. Or to pick up my phone and scroll through social media, pinning session on Pinterest, engaging with other readers. It’s hard to switch off my blogger brain. But the key is to try and set boundaries for yourself and define when it’s work and when it’s play. Two days a week I will avoid the computer; normally a Wednesday and a Sunday. It’s so important to make time for myself and my family just as much as my work. I have to say that working from home is one of the most challenging ways to work. When you think of home, you think of relaxing and fun. Home is where your family and friends are and thinking of home as a workplace changes things. Not forgetting that I also have a little four year to keep me on my toes which is incredibly distracting. People are always quick to assume that working from home means a day in your pajamas, lazing on the sofa, drinking lots of tea and typing a couple of posts. Yes sure, there are some day when my little lady isn't at school and I will take full advantage of a pajama day, but it's not a good way for me to be productive and to stay focused though. I will wake up early, get fully ready for the day, and sit in my blogging space. My days also consist of errands, nursery drop offs and pickups, laundry and chores and anything else the day throws at me. So yes, it's pretty easy working from home! Honestly, as cliche as this may sounds becoming a working from home mum has been one of the best decisions I have made, even if at times it's hard and I feel as if I should go back my old job. I am going to grab every opportunity I can and run with it and show my daughter that she can have it all, and hopefully one day she can tell me that I make her proud!!! What about you? Are you a stay-at-home-mum? A working mum? A working from home mum like me? Is there an ideal? Or do we all just muddle through the best we can doing what makes sense to us at the time? 40 comments on "Life as a Working at Home Mum: Is It Really the Best of Both Worlds?" going self employed is defo something i've thought about as well as debated about with my fiancee. while now isn't quite the right time, this post is swaaaying me! Such an indepth and honest post and i am so here for this! 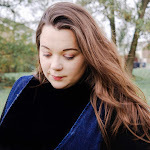 I would love nothing more then to be able to work as a blogger full time and also stay at home, but I can't bite the bullet and do it! I think next year this is something I will be working towards! I've always envied SAHMs who can make money blogging. My boys are both in college now and seriously, I have all the time in the world but I am so unmotivated. Too much effort! And can you believe I've been blogging for 10 years already! I love being a WAHM, I get to spend everyday with my little boy and that's so important to me! Thanks for this great post. 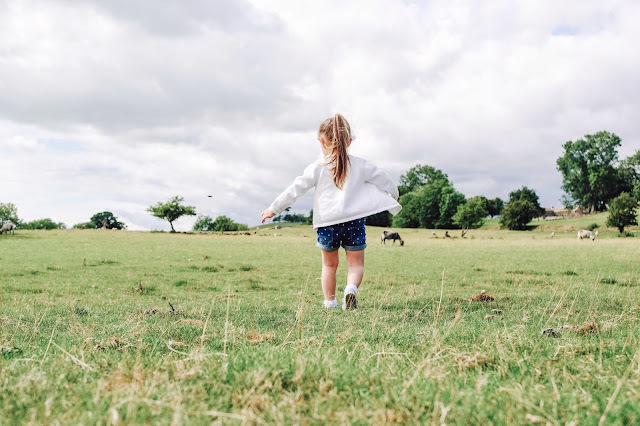 For me getting the balance between kids, working in the evening, keeping on top of the house and blogging is really hard and I often feel the guilt! Having said that structuring my life to make sure I am there for every event in the kids lives is what it's all about and I wouldn't change that for the world. All this. Totally feeling you. It’s a shame you don’t feel supported by family and friends though. Well done for making the leap. I've worked from home for years and still find it tough to get motivated sometimes. I can also the queen of procrastination as there's always something to be done which will put off the one horrible work job I've been avoiding. I love the flexibility of working from home too, but I don't think anyone believes you're always working. I get treated like it's a bit of a co-out and this is a hobby, but I do at least 35hrs a week that I've set aside for this, and I do fiddly admin bits throughout the day that I don't track. It's just as hard work (if not harder) than leaving the house to work for someone else! All of this really resonated with me. It is so true that many people don't get it and finding the right balance is very tricky but like you the positives far outweigh the negatives. I work part-time and I would love to be able to get more work from my blog so I could cut my hours down a bit. I know that working on the blog at home is hard, but that extra bit of time I would get with my daughter would be worth it. And now she is older I would love to get her more involved in my blog, teach her about real life working. All good points! I really struggle to find the time.....and thinking tgarvi might have something to share that someone might be interested in!